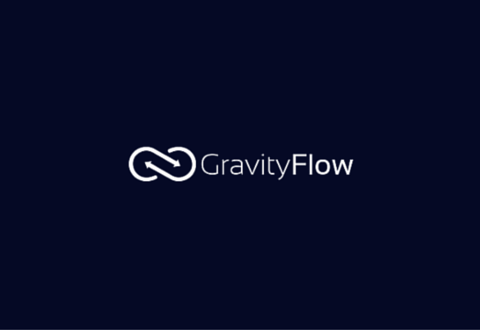 Gravity Flow allows WordPress administrators to automate custom, form-based processes such as approval and feedback/review loops. There’s built-in support for conditional branching, step scheduling & expiration, reporting and audit trails. It integrates both internal collaboration and customers on the front-end; an easy to use, flexible and extensible way to reduce turnaround times and increase transparency. If you’re familiar with Gravity Forms you’ll feel right at home. Highly extensible with plenty of hooks and a comprehensive API for tweaks and custom workflow steps. Keep everyone in the loop – Help internal teams focus more on the task and less on the process. Make it easy for customers and suppliers to participate in the workflow. Audit Trail – Keep track of who did what and when in the detailed Timeline and Activity Log. Includes comments, timestamps and step and status information. Involve Anyone: Internal or External – Assign Steps to Users, Roles, or Email Addresses. The Assignee doesn’t need to have a user account to participate. Rapid Implementation – Simple & easy-to-use, Drag & Drop and Point & Click configuration. No programming, technical knowledge or complex training required. Powerful & Flexible – Configure as many Workflow Steps as you need. Drag and drop them into the right order, activate/deactivate them and add new ones as your process adapts. 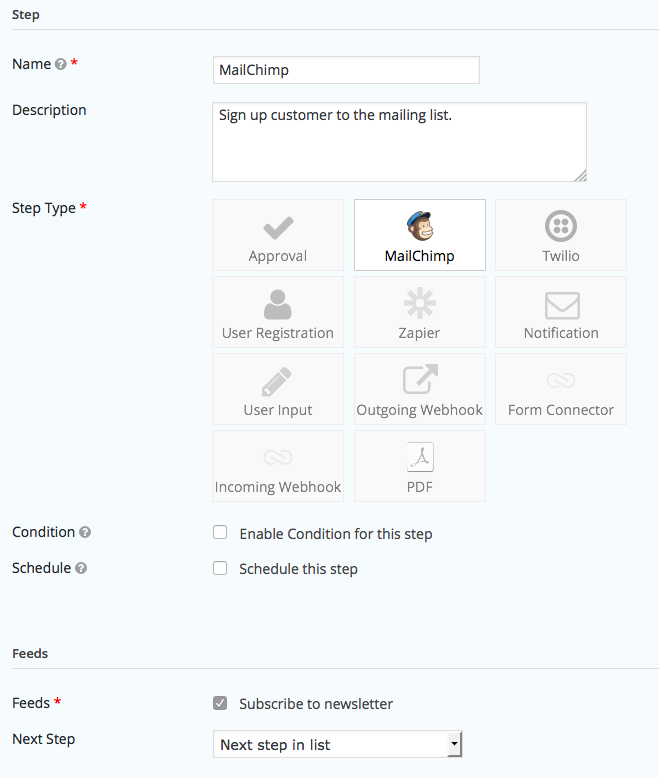 Steps include approval, user input/edit, notification, webhooks and integration triggers. Reporting – Reports display charts by form, step and assignee so you can identify bottlenecks before they arise. Scheduling & Expiration – Delay a workflow step or notification until a specified date or until a specified period of time has elapsed; particularly useful when configuring a series of emails to drip feed content over a period of time. Granular Permissions – Control who can submit forms, approve entries, modify values and view the status. By default users can only see the status of their own submissions. Support for field level access.